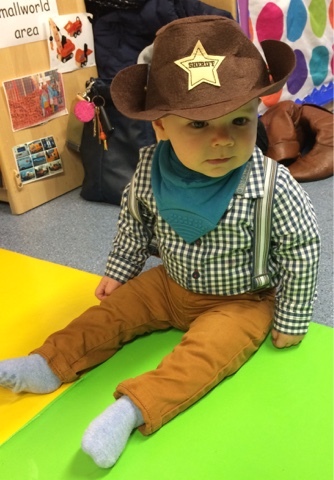 So this week was cowboy week at baby sensory class and here is Arthur's outfit! 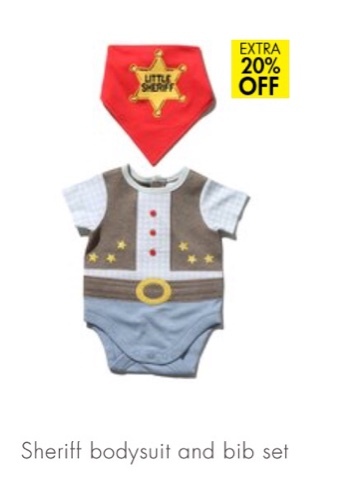 We were going to buy the sheriff bodysuit and bib set from M&Co but alas! They didn't have any left in his size! Instead we went for real cowboy clothes in the form of a checked shirt bodysuit from Marks and Spencer and these trousers with braces from the Hema. His neckerchief is a Cheeky Chomper Neckerchew!